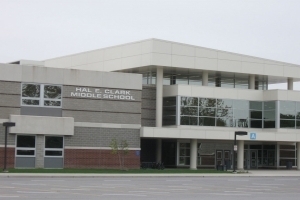 Welcome to Hal E. Clark Middle School, “Home of the Coyotes!” Located in St. John, Indiana, we opened the doors of our brand new facility in January 2008. 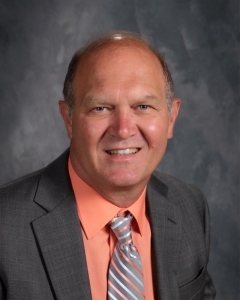 Clark Middle School serves students in grades 5-8 living in Schererville, St. John, Crown Point, and unincorporated areas of St. John Township, Dyer, and Griffith. Most of our students come to us from Kolling and Peifer Elementary Schools. It is our belief that all children can learn. Accordingly, we have several support services and programs in place to help us fulfill this belief. The special needs of every child are always provided for in the least restrictive environment. Our friendly and accommodating staff, comprised of over 100 teachers and support staff, is committed to creating a school climate where students realize they are cared about and appreciated as individuals. We are also committed to making sure that all students have the opportunity to learn and experience success.